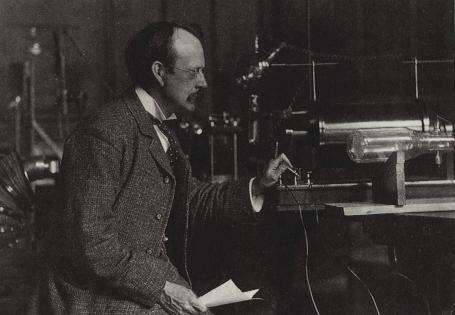 In 1897, J.J. Thomson , a professor of physics at Cambridge University, proved that Cathode rays were streams of particles that carried a negative charge and were 2000 times lighter than the hydrogen atom. He boldly asserted that these particles were in all matter. These remarkable assertions implied that something lighter and smaller than the hydrogen atom was involved in building matter. He was awarded the Nobel Prize in 1906 for this work. 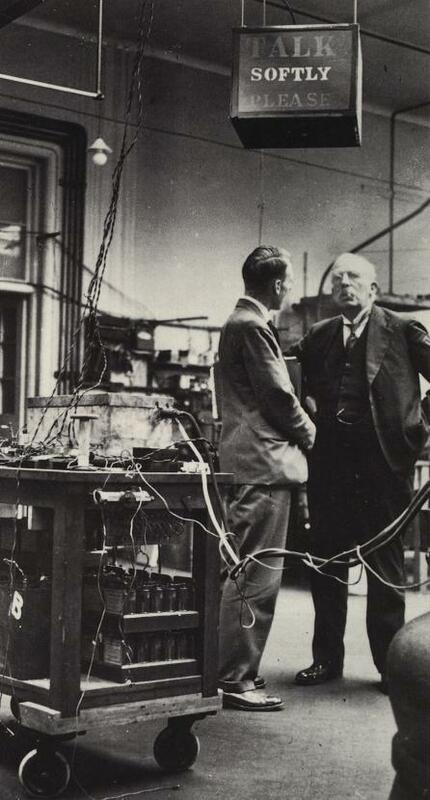 Thomson also examined the ionizing properties of the recently discover X-rays with a young student named Ernest Rutherford. who we shall here more of shortly. In 1896, Henri Becquerel discovered that uranium salts emitted rays which were capable of clouding photographic plates. Radioactivity, as it became known, is synonymous with the Curies. 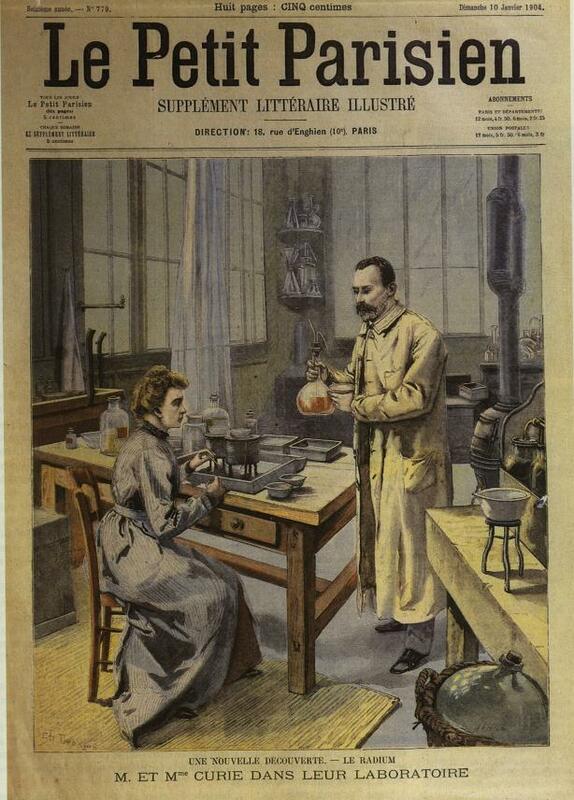 Marie and Pierre Curie (Manya Sklodowska) managed to isolate the elements responsible for the activity, polonium and radium. It was Rutherford, along with Geiger, and Marsden who first put their discoveries to use. His most famous work involved irradiating gold foil with alpha particles (nuclei of helium = neutron+proton), thereby discovering many important properties of the nucleus of the atom. 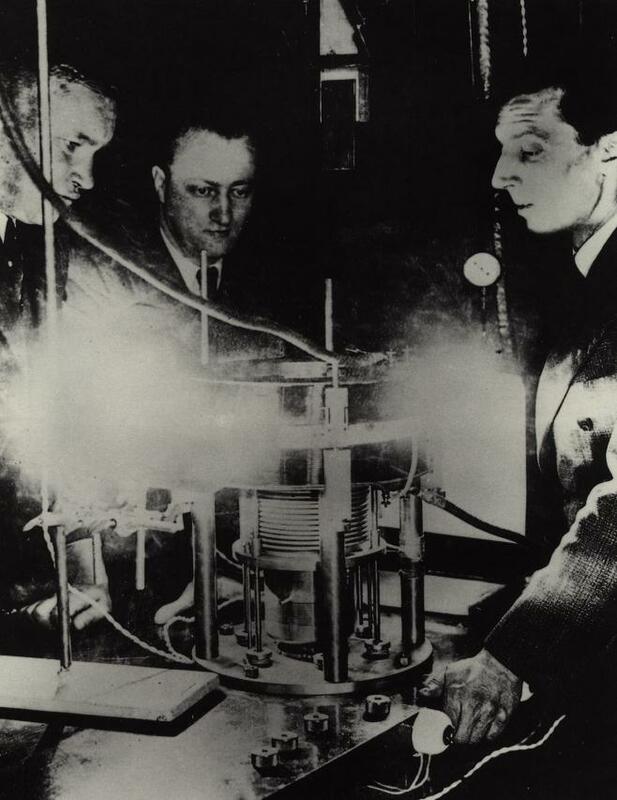 Finally, Frederic Joliot was the first to observe the release of netrons in the fission of uranium in 1939. "If, as I have reason to believe, I have disintegrated the nucleus of the atom, this is of greater significance than the war." -Ernest Rutherford, in an apology for missing a meeting on antisubmarine warfare in 1917.